Enhancing an Aes's level varies depending on the Aes: some can be enhanced for resources, while others only for Gold or the Soul Shard item. 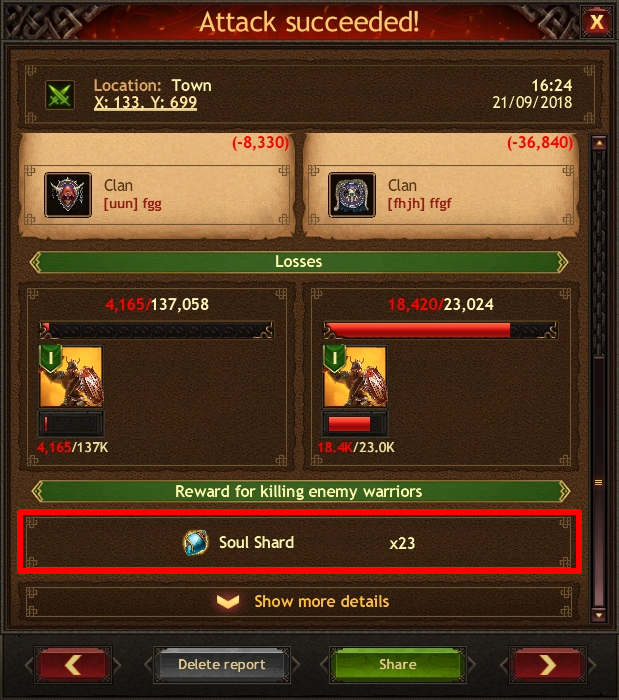 You can get this item for killing enemy troops from foreign Kingdoms. During the Aes enhancement process, you can apply speed-ups. Bonuses from VIP status, free autocompletion, and help from Clan members don't affect Aes enhancement. If you've started one enhancement of an Aes for resources, you can perform another enhancement for resources only after the current process is complete. If you cancel the Aes enhancement, the resources spent won't be returned to you.